Gina is not only a great real estate agent, but a great community leader as well! She can be found spreading hope, help, awareness and plenty of smiles at a number of organizations in town. We are proud of all she does for our company and our community! I met my husband in the church choir in September of 2005, spent a few weeks being friends, began dating at Thanksgiving and got engaged on NYE 2005 and been married since 2006. Six year old miniature poodle, Franklin, is our baby. What do you like to do outside of real estate? I love going to the movies with my husband, eating out, boot camp classes, traveling -- and most recently, tennis lessons! Tell us about your committment to a local community. Over the last 10 years I have served the community of Essex Alliance Church in many ways. In the past, I have been a small group leader for Financial Peace University, helping people both inside and outside of the church gain financial freedom. If you ever visit us on a Sunday morning, you might see me up front singing on the worship team! 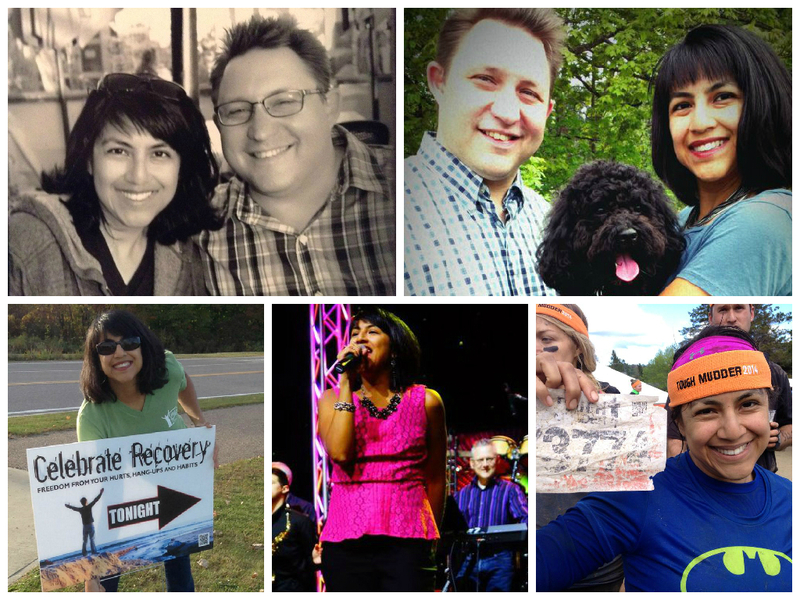 Currently, my husband and I run a ministry every Thursday called "Celebrate Recovery" at Essex Alliance Church. It's a Christ centered Twelve Step recovery program for ALL hurts, habits and hang-ups. I also run a six week study called "The Daniel Plan" that teaches whole health - faith, food, fitness, focus and friends. Favorites on my shelf are..."The Purpose Driven Life" by Rick Warren, "A Resilient Life - You Can Move Ahead No Matter What" by Gordon MacDonald and for fiction fun, "The Art of Racing in the Rain" by Garth Stein. Since I know I could learn anything I put my mind and time to, I would go back to some things I didn't fully appreciate before like learning to play the piano and becoming fluent in Spanish. Oh - and I'd be on American Ninja Warrior because it's the closest thing to being a super hero! To live the purpose that God put me on this earth for. I know that I have just begun to scratch the surface and to know that is exciting for me! What made you choose a career in real estate? Actually, I had just lost my job in CA and moved back to VT, really unclear about what to do next. I had worked in sales before and thought the best time to try a commission only job was probably while I was still living at home. I had no expectations at all and was completely oblivious to the fact that the market at the time was on fire! Who knew?! What is your favorite part of being a realtor? I love consulting. I love helping people navigate through decisions and asking the questions they may not have asked themselves. Excellent communicator - Personal service - Detail oriented. List your acheivements in the past 10 years of real estate. First recipient of the Northwestern Vermont Board of Realtors Rookie of the Year (2004) and the Vermont Association of Realtors Rising Star Award (2004). Four time winner of the Quality Service Award. If your clients or friends were asked to describe you, what would they say? Reliable, prepared, honest, energetic, loyal. Give one piece of advice to someone thinknig of buying a home today. To first time buyers, I would say get over the idea that your first home has to be your perfect dream home - it's not. It took your parents 30 years to get where they are, so stop expecting to live the same lifestyle it took them 30 years to build. I start the day with exercise, breakfast and prayer. In 2012, my husband and I paid off $80,000 in debt and have been debt free ever since! never listened, so it doesn't matter anyway! I love you Regina Louise Paquette Masters(a/k/a Gina Masters)with all my heart! Always have, always will!